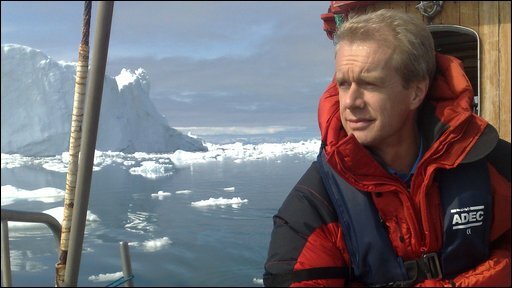 In the first part of three special programmes, Stephen Sackur takes HARDtalk's hard-hitting interview format on the road to Greenland to uncover how climate change is affecting the country. We travel to Ilulissat, inside the Arctic Circle on Greenland's west coast, to the northern hemisphere's fastest collapsing glacier. Here approximately 30 of the world's environment & climate change ministers gathered in the town for private talks, and also viewed this dramatic spectacle. 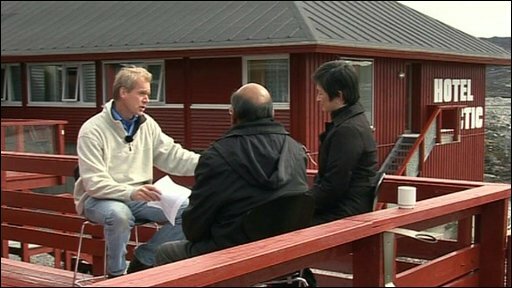 Stephen Sackur talks to two of these ministers - Penny Wong, Australia's Minister for Climate Change and Shyam Saran, India's envoy on climate change about the roles and responsibilities of the industrialised and developing worlds. As the ice melts so the pressure on the world's politicians rises. They are due to meet in December in Copenhagen to get the seal on a new Climate Change deal but do they have the political will to overcome their longstanding differences? Penny Wong, Australia's Minister for Climate Change and Shyam Saran, India's envoy on climate change to discuss the roles and responsibilities of the industrialised and developing worlds.